When trying to upload the appx file of the UWP app to the Windows store , you would generally get the below error. Package acceptance validation error: You cannot submit pre-compiled .NET Native packages. Please upload the Store appxupload file and try again. In case you encounter the same issue , you can follow the below steps to resolve this. The UWP App should be compiled with .NET Native tool chain in release mode to be published to the store. For the Windows 10 package , you will need to upload the .appxupload file instead of the appx file. 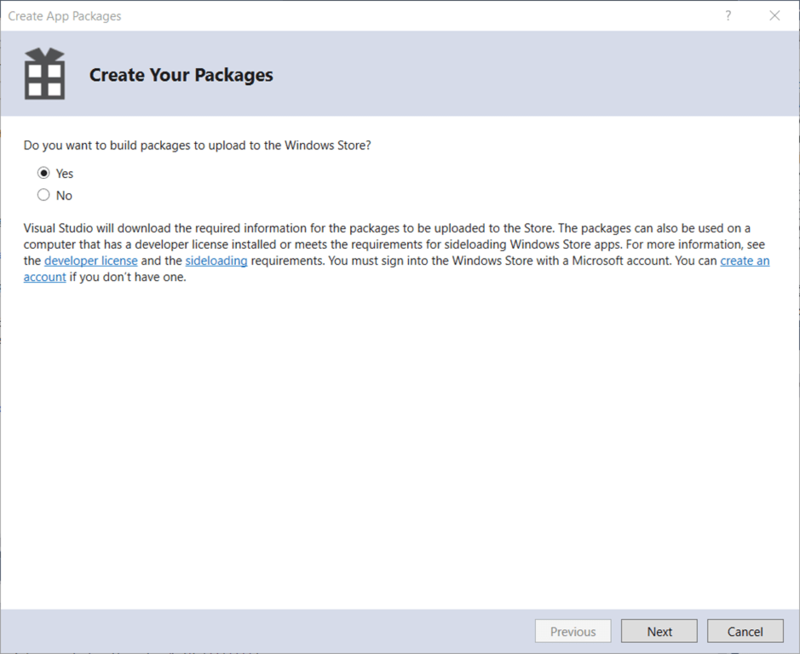 When you generate the package file , you will need to select “Yes” for the “Do you want to build packages to upload to the Windows Store”. This would generate the .appxupload file in the AppPackages folder. You just have to upload this to the store to get rid of the above error on submitting the app to the store.